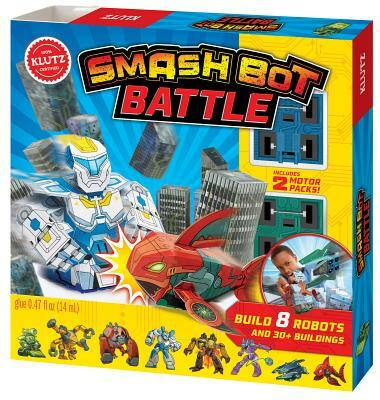 Smash Bots are no ordinary paper robots. Build 8 action-packed, 3-D papercraft robots that zoom on pullback motors. Then create an entire city and prepare yourself for ultimate mayhem. Topple skyscrapers and wreck bridges in an epic battle between good and evil. Comes with: 8 papercraft robots, 2 pull-back motor chassis, 30 papercraft buildings, 2 ramps, 3 air bridges, glue.